For 20 years, Sonoma County vineyards and wineries have demonstrated a strong commitment to recycling their plastic pesticide and chemical containers. The next Plastic Container Recycling Day will be held on Thursday, May 1, 2014, from 9:00am until 3:00pm at Sonoma County’s Healdsburg Corporation Yard located at 17270 Healdsburg Avenue at Alexander Valley Road in Healdsburg. The containers must have their lids and labels removed and be triple-rinsed, punctured and dried. A Pesticide Container Rinse Certification form is required. Download the form at www.sonoma-county.org/agcomm. This event is open to: growers, wineries, nurseries, pest control businesses, golf courses, parks and government agencies. 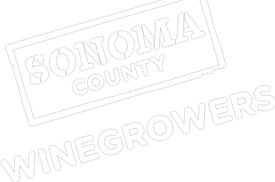 This program is co-sponsored by The Sonoma County Agricultural Commissioner’s Office, Sonoma County Winegrowers, Sonoma County Integrated Waste Management Division, Interstate Ag Plastics, and the Ag Container Recycling Council.